Now, let's dive a little deeper into some of the new features and enhancements. In the large node (16 vCPU x 48GB Memory) configuration, vROps can now support up to 150,000 objects and 38.7 million metrics up from 120k and 30 million, respectively. 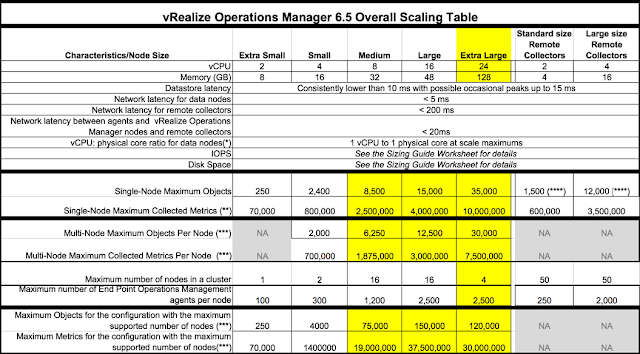 Also, a new node size defined as Extra Large (24 vCPU x 128GB Memory) can be deployed, supporting up to 30,000 objects or 7.5 million metrics per node. One caveat with XL is that today only 4 nodes are allowed in the Analytics Cluster, but I expect that to grow with future releases. 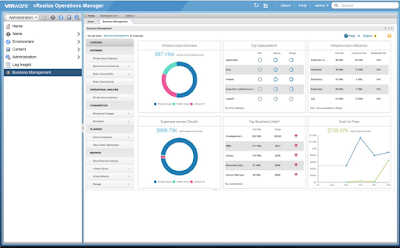 The XL size seems to be a great option for putting vROps in relatively small 3-4 ESXi-node Management Clusters that are typical in the SDDC/VVD deployments. This will allow vROps to scale to accommodate a large number of monitored cloud object and metrics in relatively small footprint vSphere Management Cluster. You can now define your own metric groups in the Metric Picker and it is as easy as drag-and-drop. It is almost like being able to create your own favorite list of commonly used metrics or super metrics and being to easily find them without scrolling and searching. You can also save it and apply it to all objects of the same type across the board. Being a huge Custom Dashboard fan, this little cosmetic feature is easily my favorite in this release! Another nice touch is the ability to export and import Custom Groups. 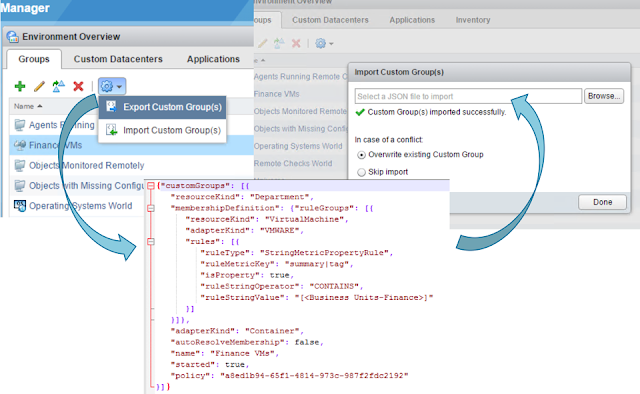 This will make it much easier if you want to move Custom Group criteria sets among different vROps instances like Prod and non-Prod. Webhooks are user-defined HTTP callbacks. 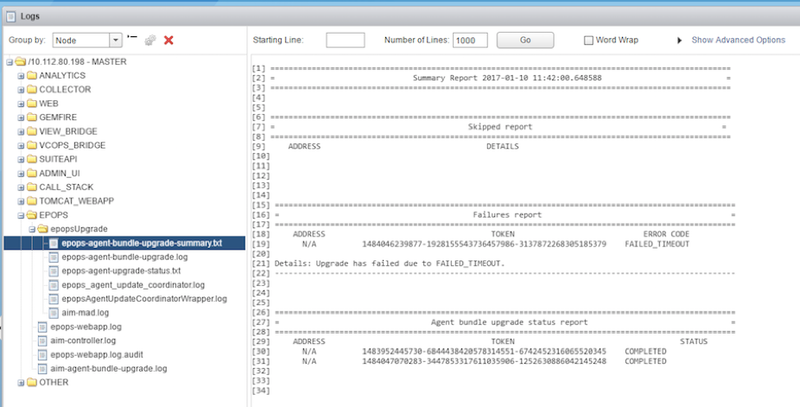 vROps sends alert notifications as HTTP POST with a JSON payload. However, some third-party applications expect incoming webhooks to be in a proprietary format. If the receiving system lacks native support for the webhook format, a shim between them can translate the webhook format as needed. 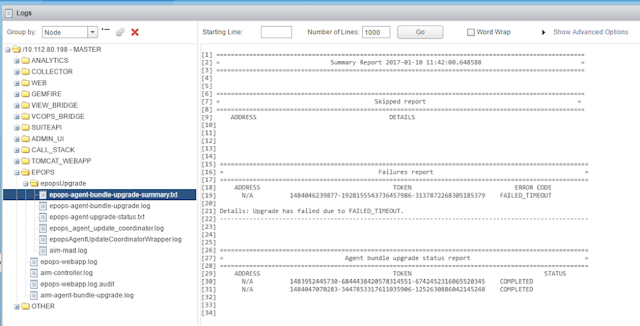 This will further improve vROps extensibility and integration options. 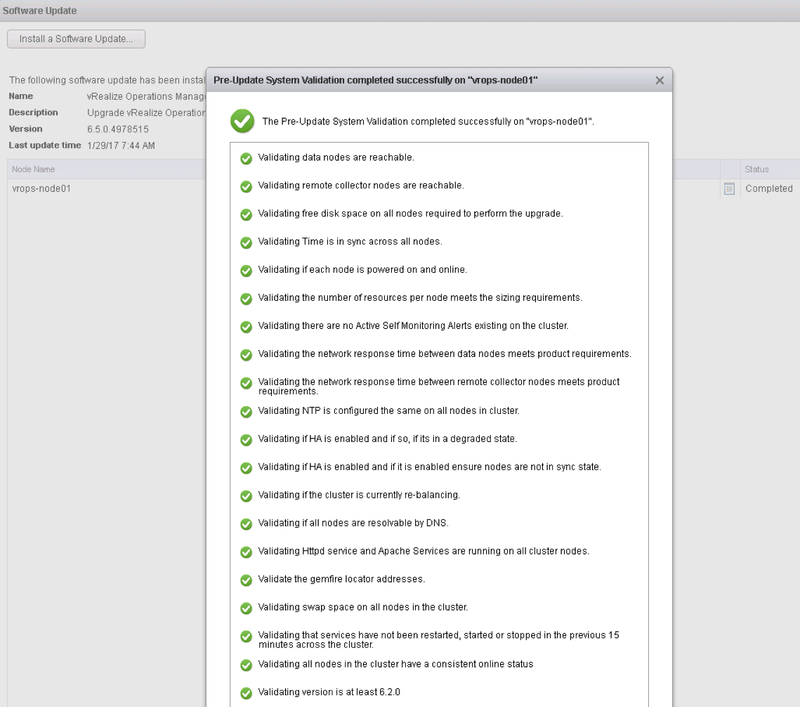 vROps now includes a validation process that identifies if there are any issues before the upgrade is started. 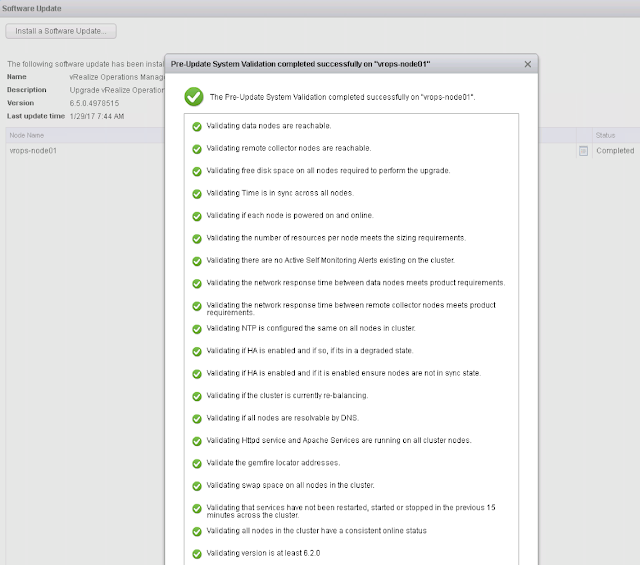 This will allow you to resolve a number of issues prior to any upgrade reducing the number of upgrade related support calls. Besides the pre upgrade checker validation the overall upgrade process is also 40% faster now than in the past. This will make for much less sitting and watching the paint dry especially in large multi-node deployments. 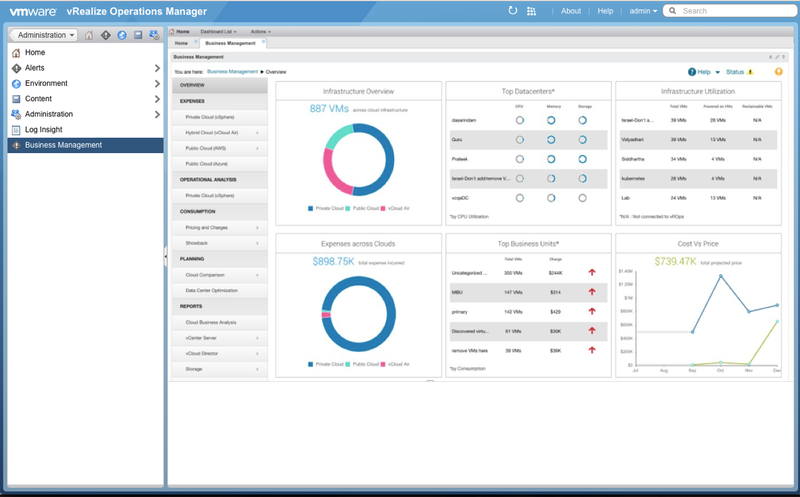 Integration with vRealize Business Manager for Cloud (vRBC) allows viewing of private and public cloud cost information right inside of vROps. 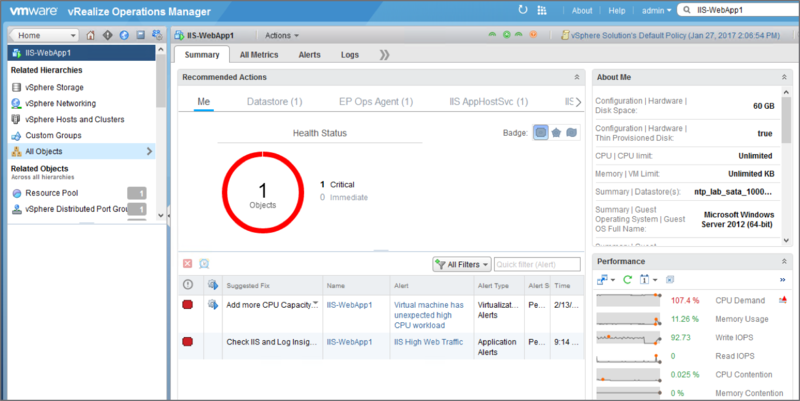 You can now access vRealize Log Insight (vRLI) logs and charts without having to leave vROps and navigate to vRLI. Log as even provided in a context sensitive Logs tab for each object which reduces the need for searching. This is it for now... I'm sure I'll find more cool stuff as I work with the product over the coming months. Till the next release. Enjoy! I performed the Log Insight 4.3 and vROps 6.5 upgrades this evening. 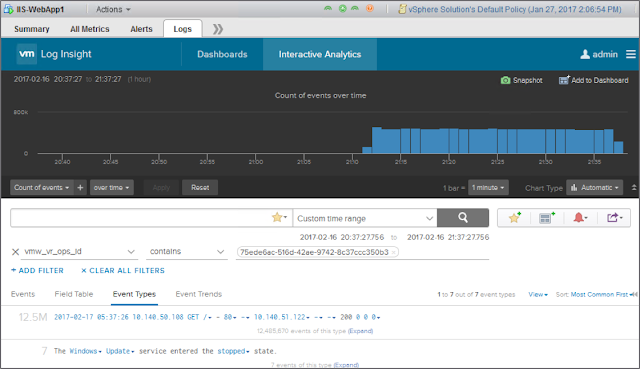 I have the Log Insight tab in vROps overall but I do not see the Logs tab that is shown above. Any ideas why that is? Anything you had to do to get that advertised feature of this new integration? 1. 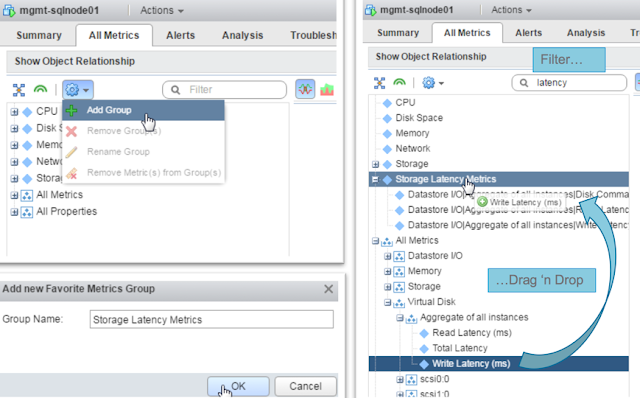 Make sure the vROps Integration is configure in Log Insight. 3. Make sure the Log Insight SSL certificate is valid. Thanks Peter. VRLI is still using a self-signed certificate so I'm sure it is #3. I need to replace it or figure out how to get it into the Administration --> Certificates area of vROps.